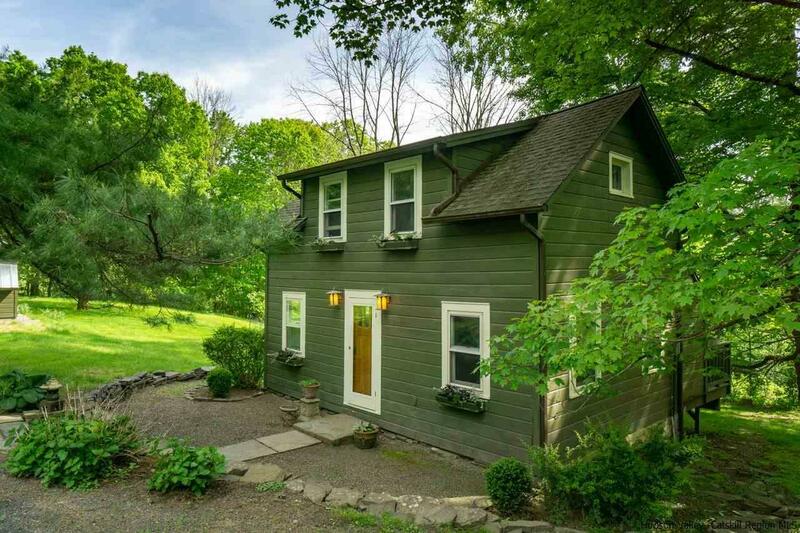 The heart of Shadow Lawn is the rambling, ca. 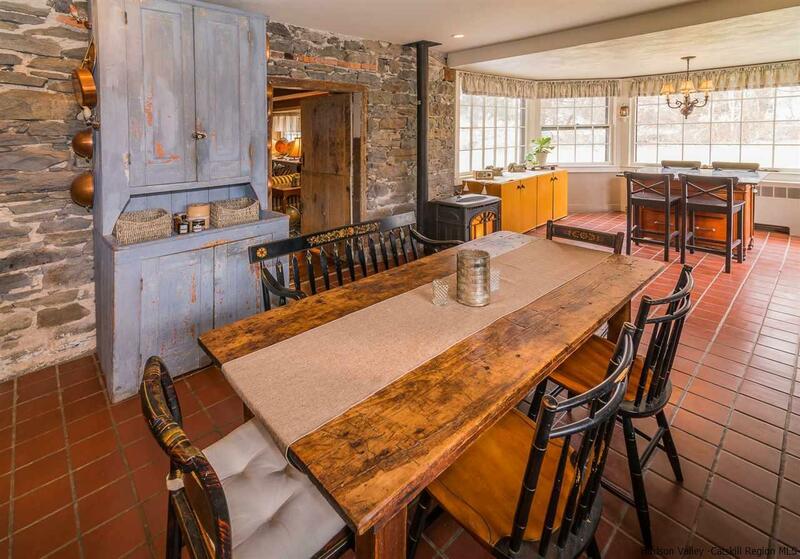 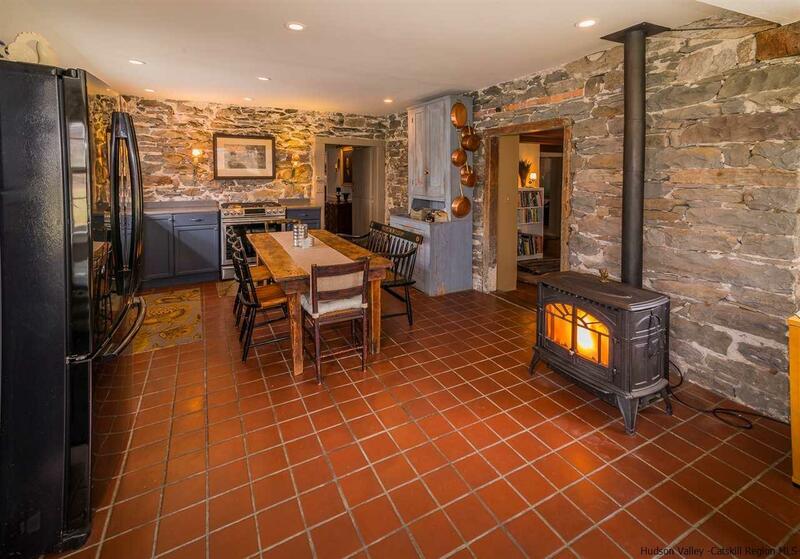 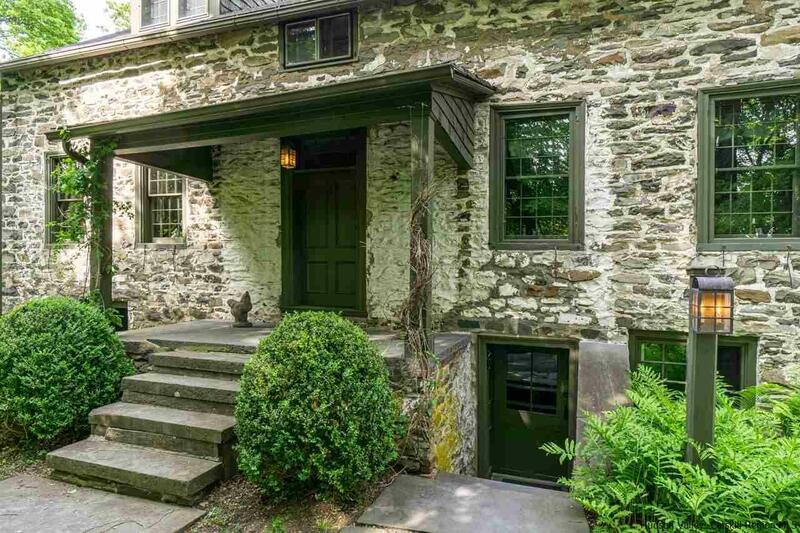 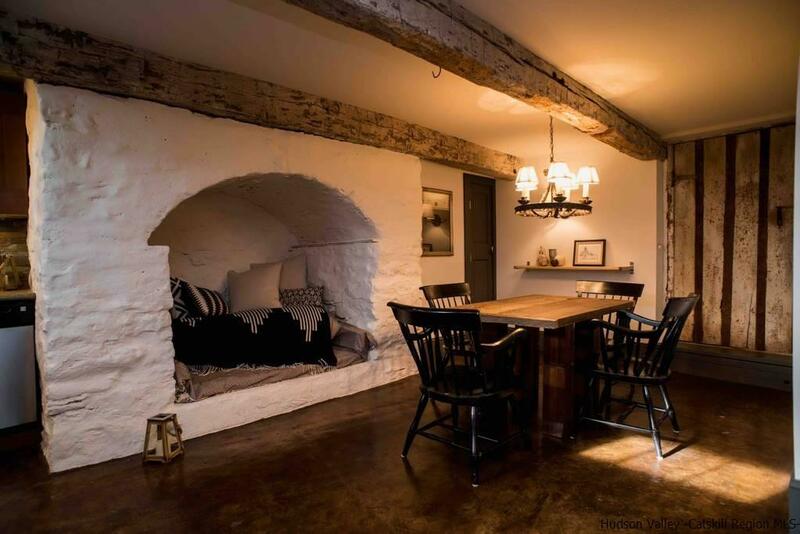 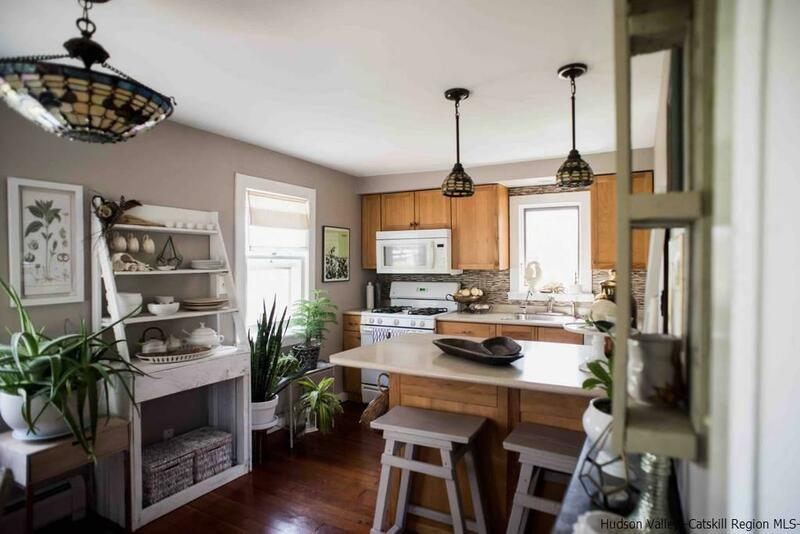 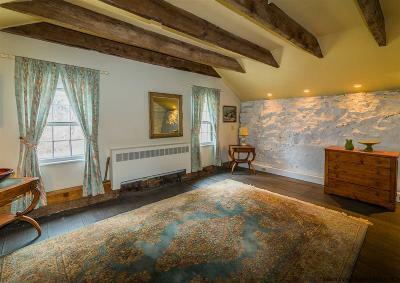 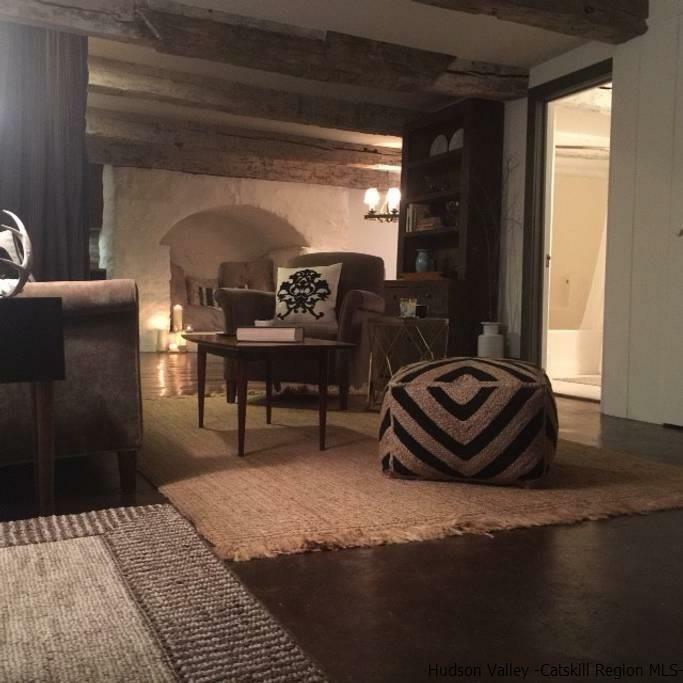 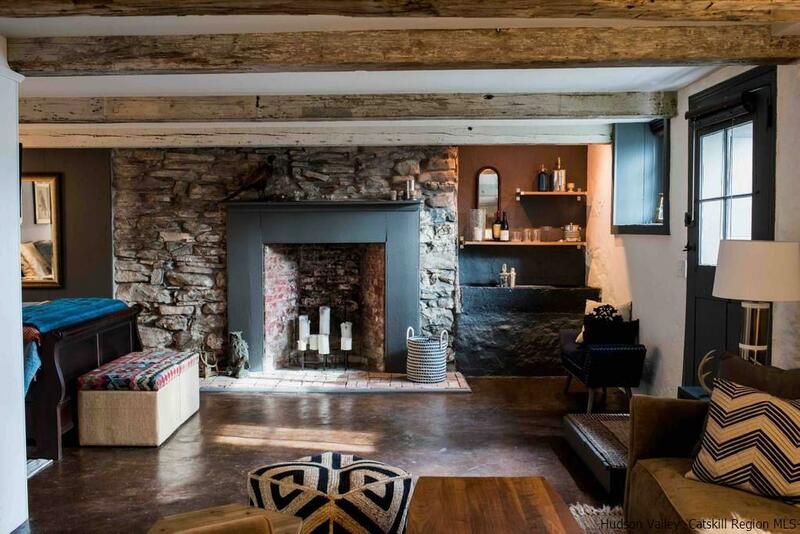 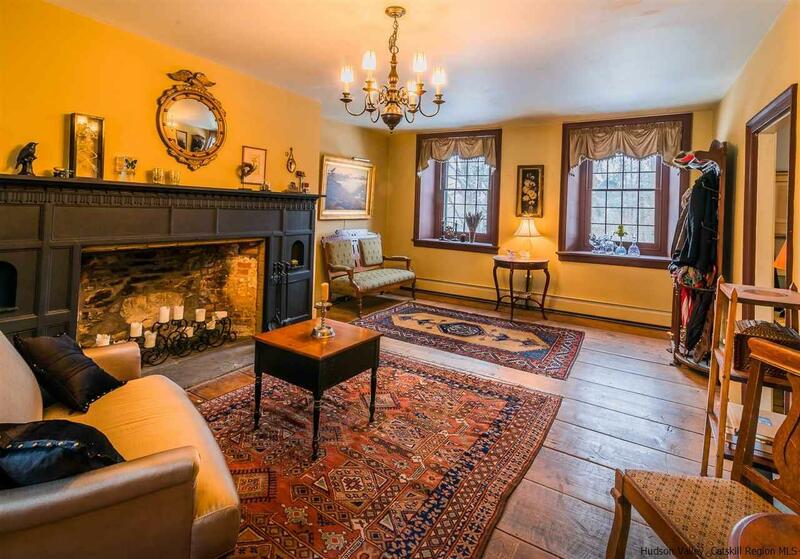 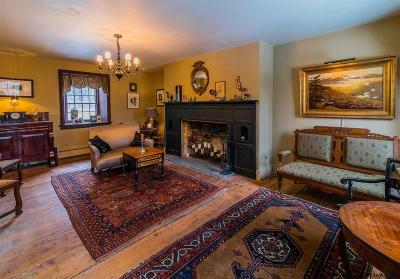 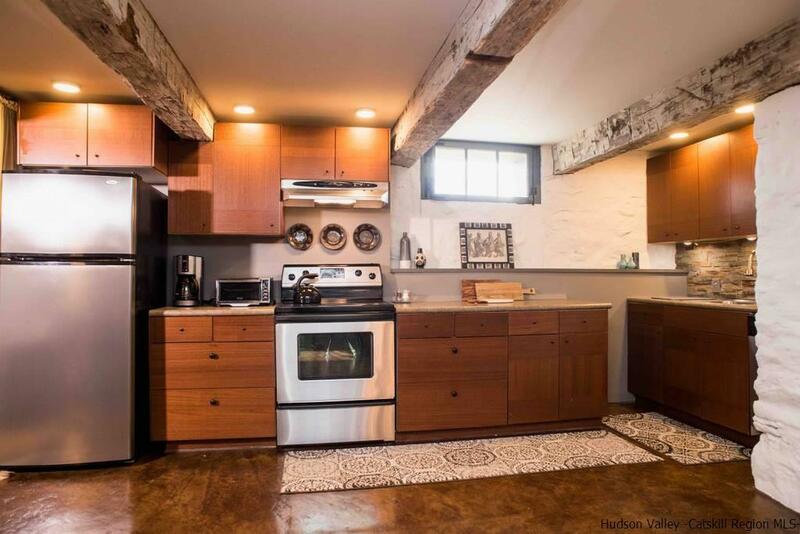 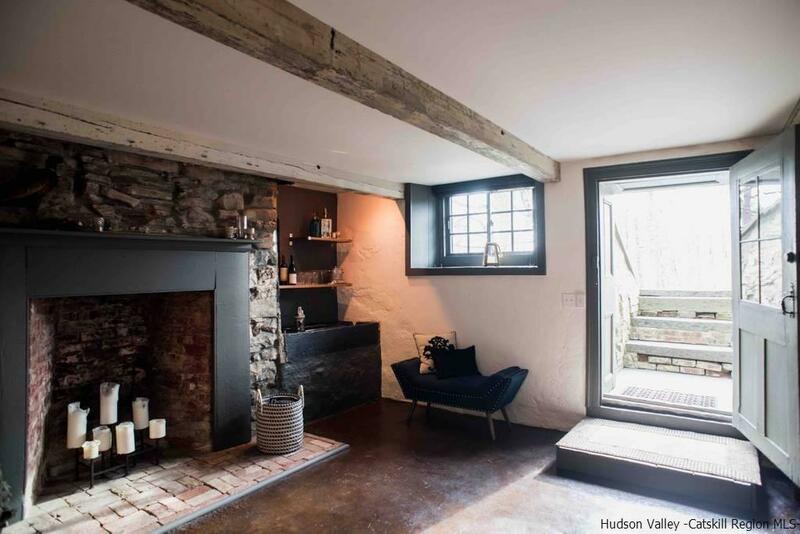 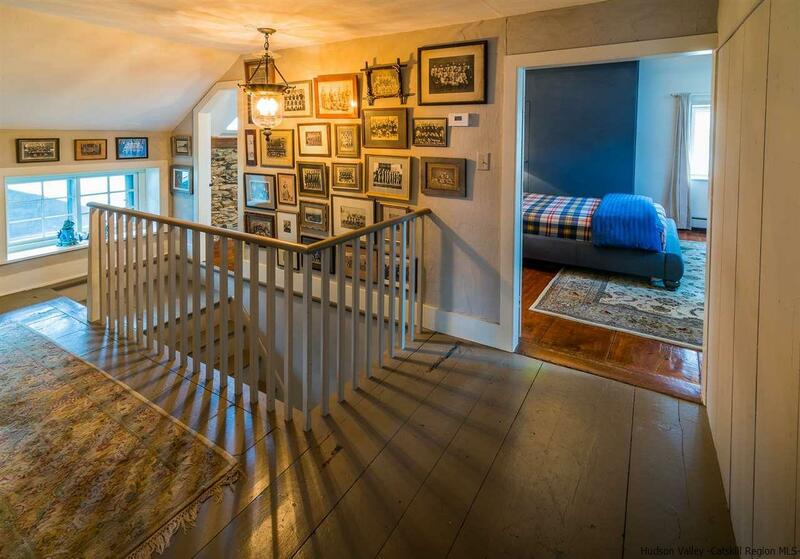 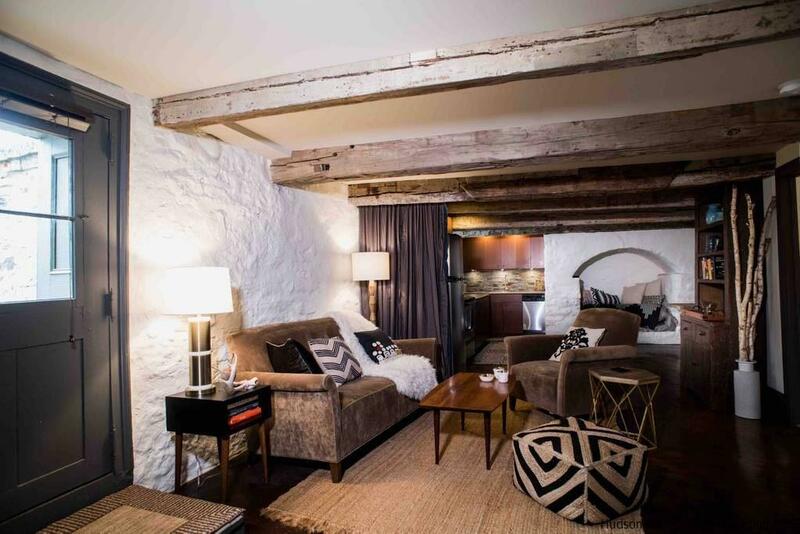 1730 stone home that's been a focal point in the storied history of High Falls, NY, and has been sensitively restored and meticulously maintained by the current owners. 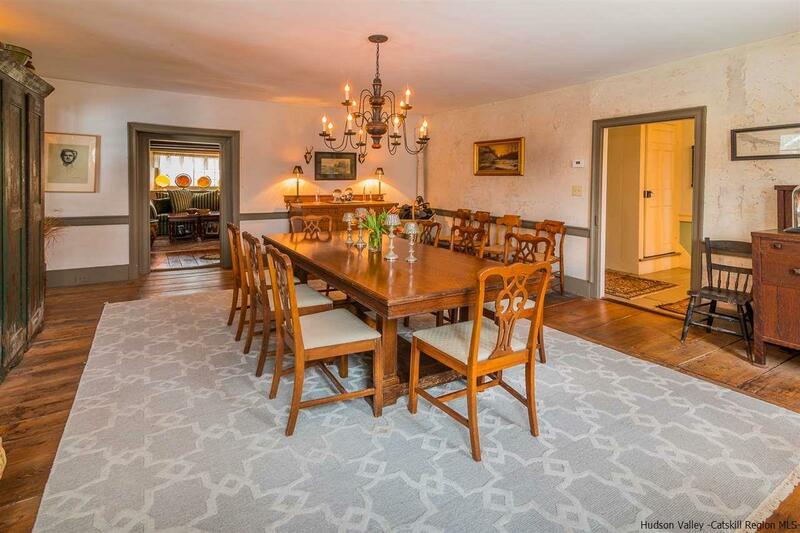 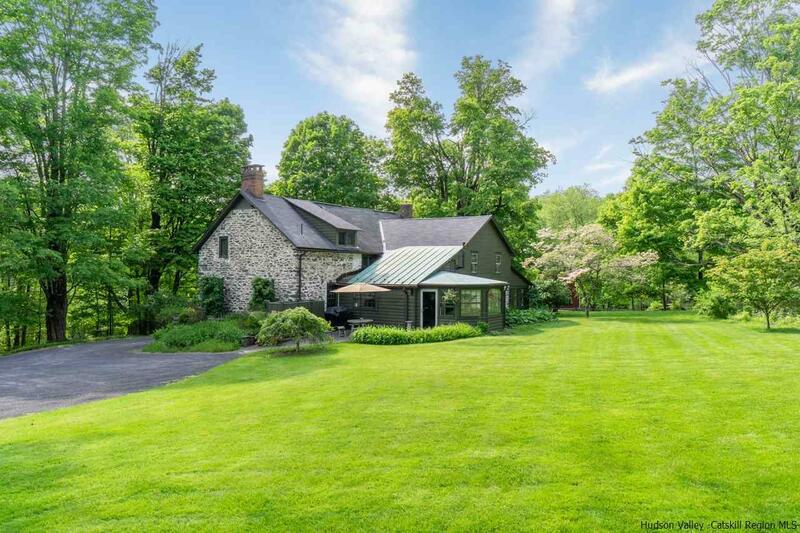 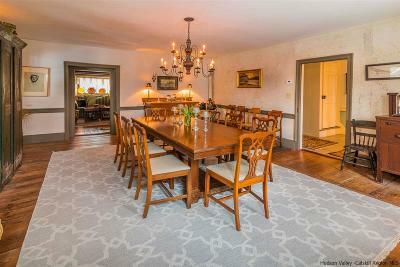 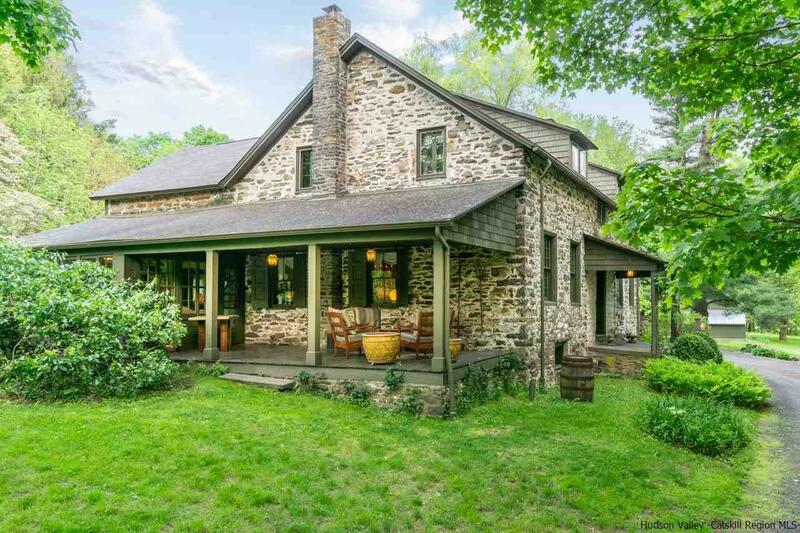 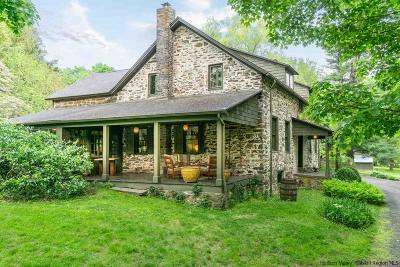 The home sits prominently on 3.9 acres and is ideal for entertaining, with its proper entry foyer, grand dining room, gracious living room and oversized eat-in country kitchen with exposed stone walls and plenty of windows. 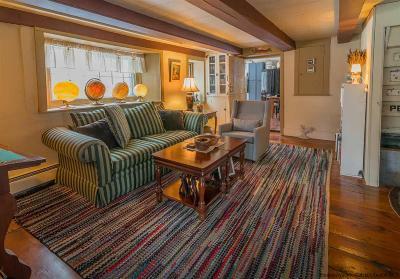 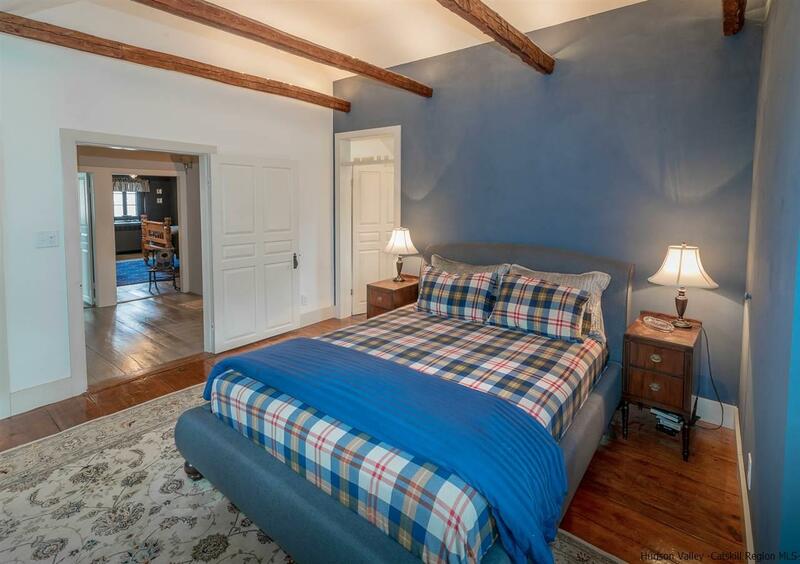 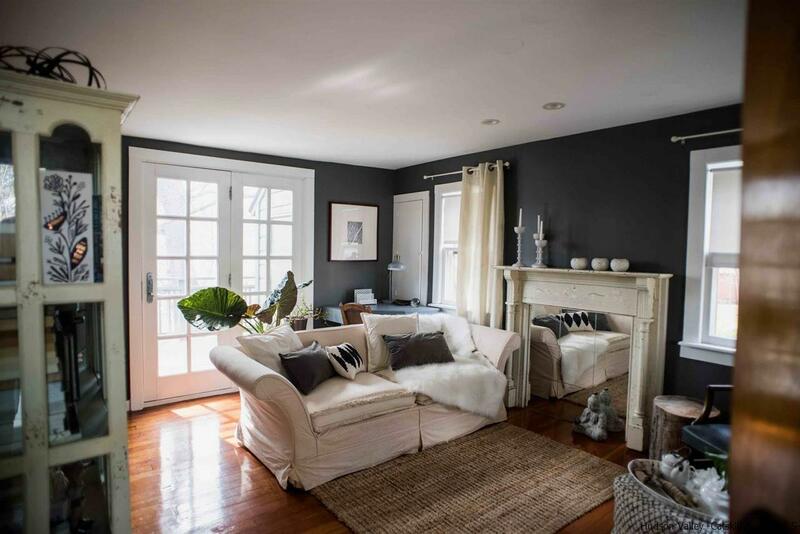 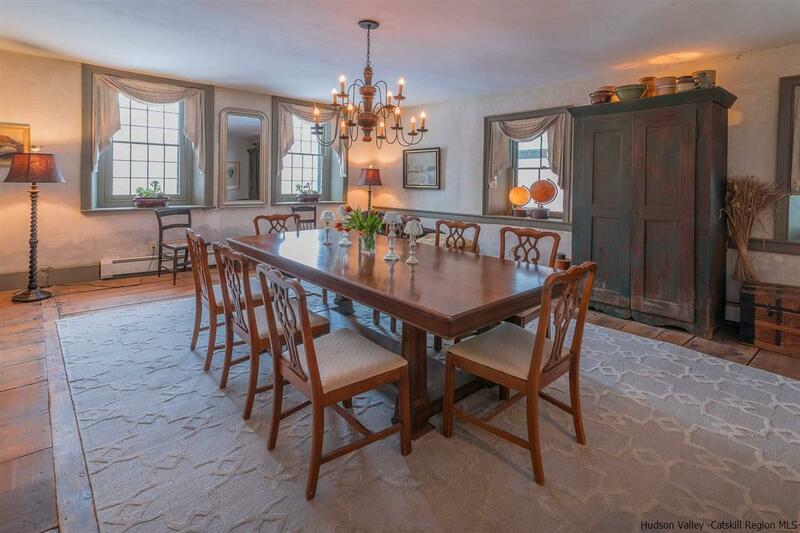 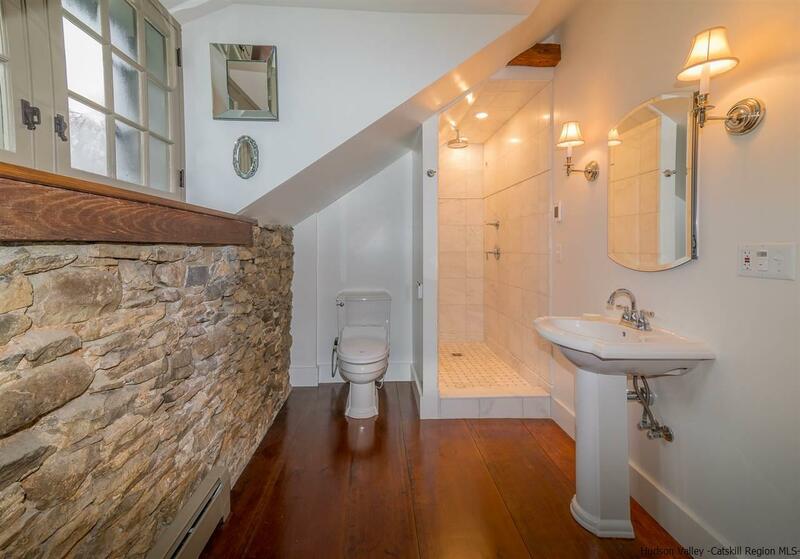 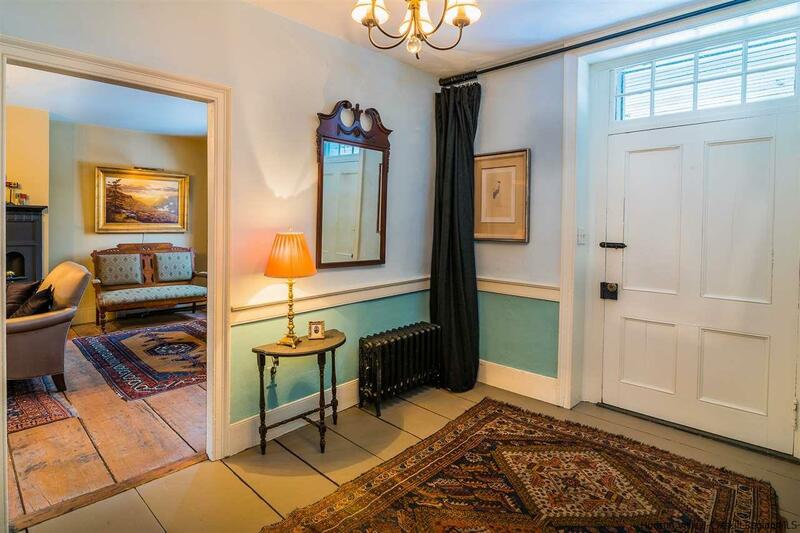 Architectural details abound and the original wide-board floors are sensational. 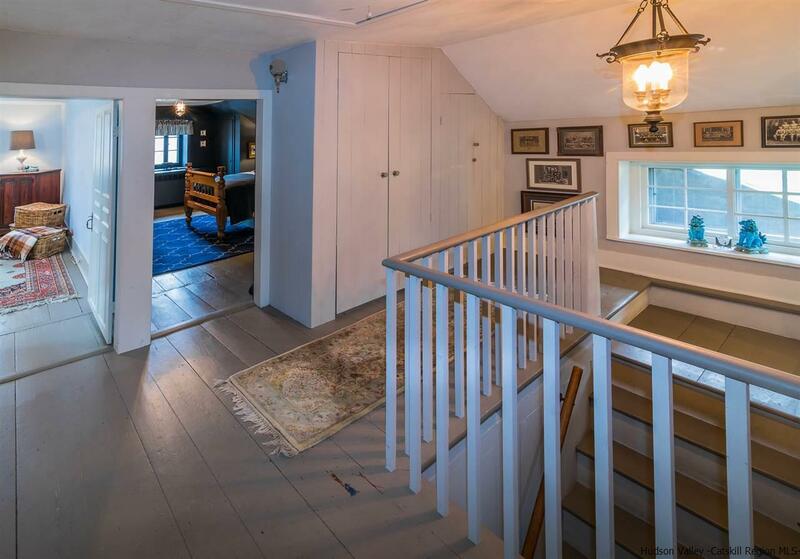 The former servant's quarters is accessed by its own staircase from the cozy den and could easily become an additional bedroom or office. 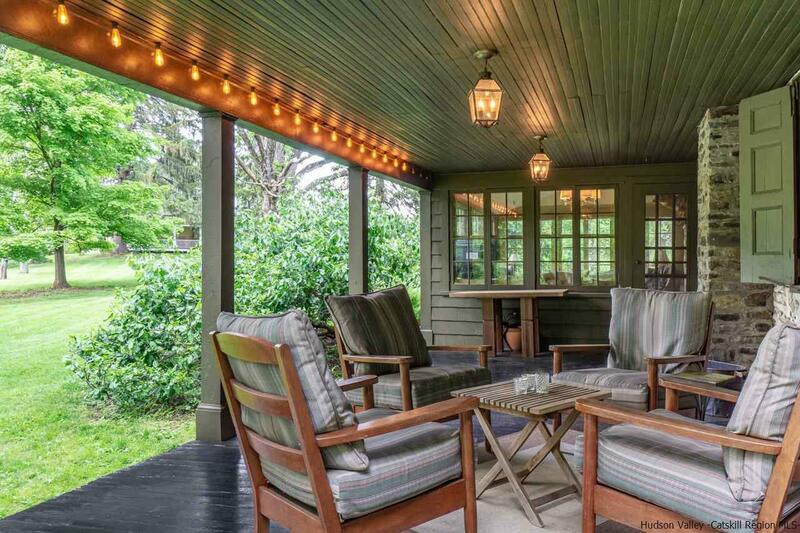 Light and bright, the heated sunroom opens to a delightful covered porch. 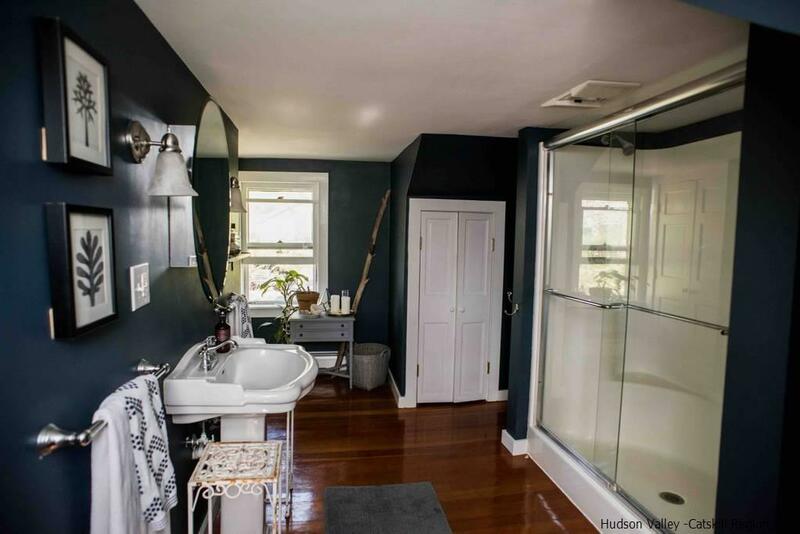 Three upstairs bedrooms are all comfortable and the beautifully updated bathroom includes a marble shower with heated floors. 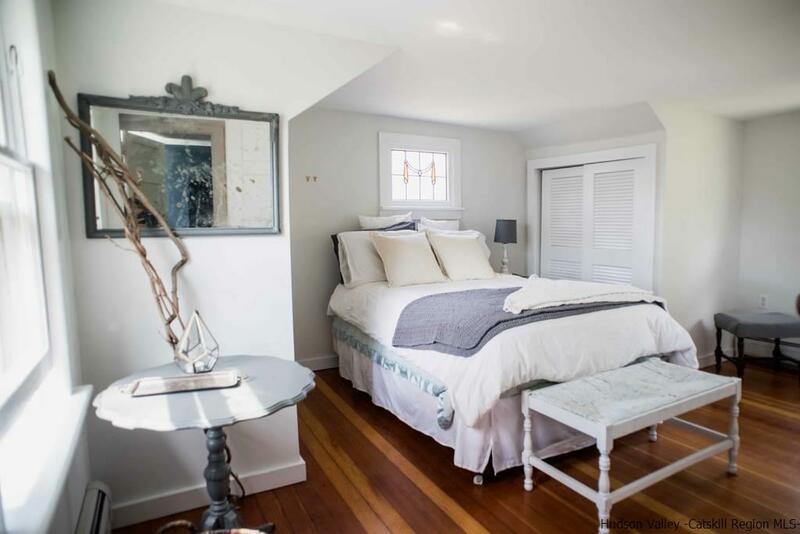 The lower-level guest suite has its own entrance, kitchen and full bath, and has provided a reliable income stream for the owners via Airbnb. There's a two-story guest cottage on the property as well, with one bedroom, full bath and kitchen, which has been rented on a full-time basis and will be delivered vacant. 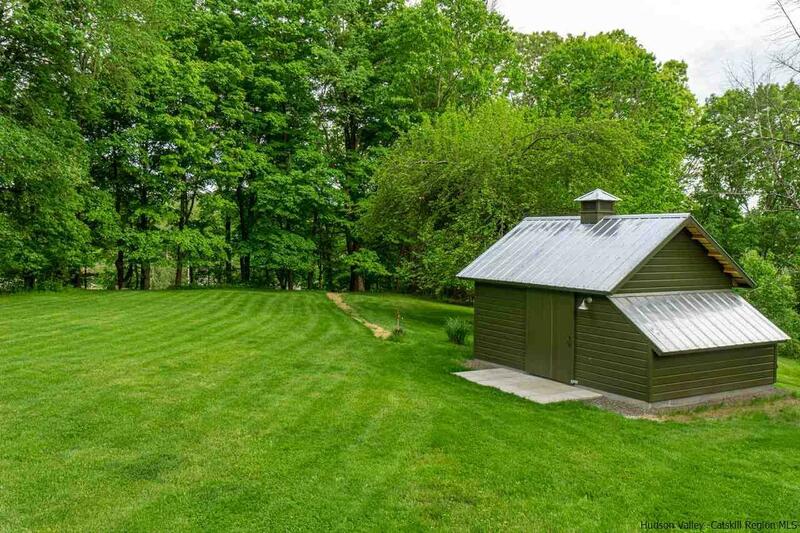 Out on the property there's an orchard; a newly built cabana with terrazzo floors, hot tub and outside shower; and plenty of room to add a pool. 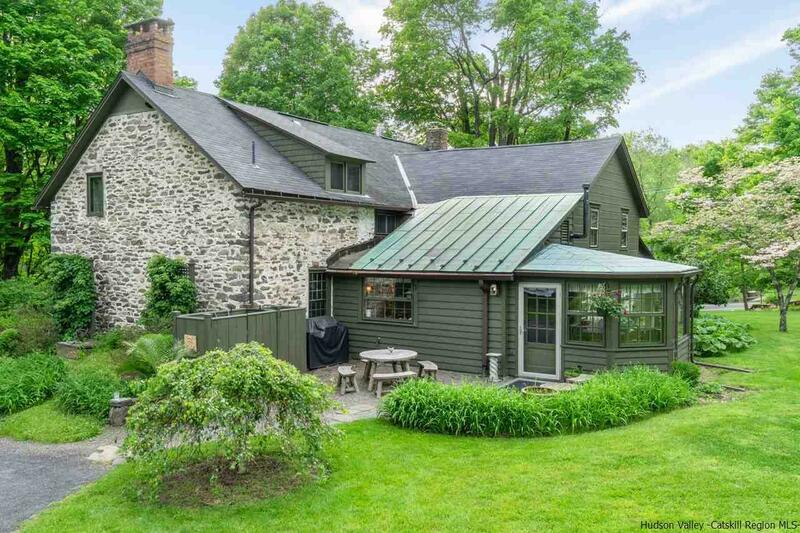 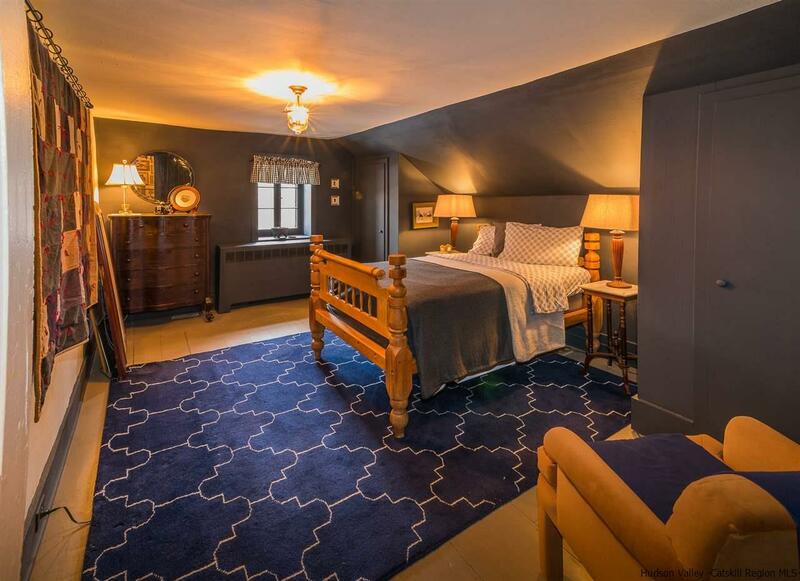 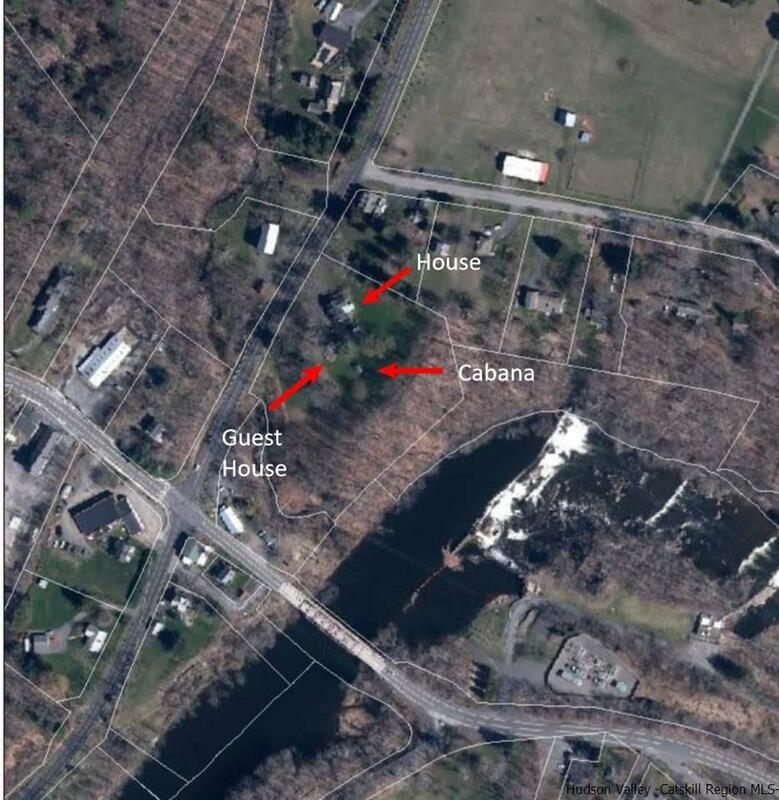 Sited with views of the falls from the rear of the property, it's a short walk over the bridge over the Rondout Creek to the hamlet with its shops and restaurants. 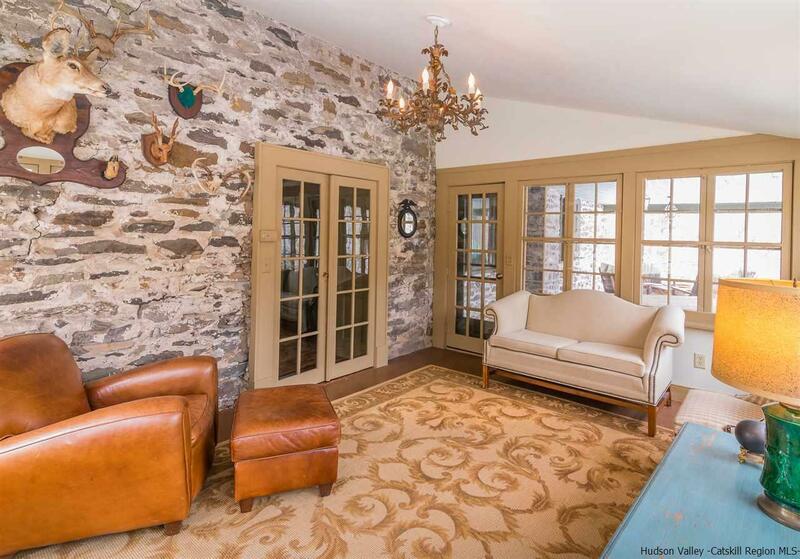 Minnewaska State Park, the Mohonk Preserve and vibrant Kingston are a short drive away. Property is also available on 6 acres with 2-story 30'x60' renovated barn at $1,300,000 â see MLS# 20190326.